Poppy and Rune have been best friends since they were 5 years old and the irrepressible little girl offered to take Rune on her adventures. From that day they are inseparable and their friendship turns in to more as they grow up and they can’t imagine life without each other. And then at 15 Rune and his family have to leave, go back to Norway and they are separated, but no not even distance could weaken their bond. Only, once Rune is away, Poppy cuts him off without explanation. Two years later Rune returns, angry and hurt, only to realise that more heartbreak is in his future. I’m on a quest this year to stretch my comfort zone and read things I would normally pass by. 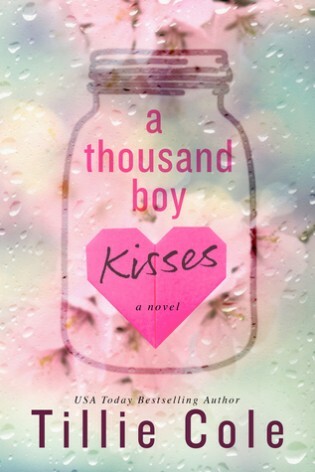 A Thousand Boy Kisses is exactly the kind of book I would normally dismiss and never think of again, so I decided to pick it up and give it a try – the beautiful cover helped of course. I still can’t decide if I made a mistake or it it was a brilliant decision. This book cut me up, I couldn’t put it down until I knew exactly what was going to happen, even though I knew, I needed to read it happening. 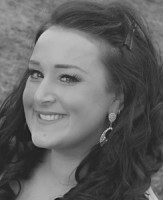 Basically, I was a sobbing mess and I lay the blame fully on Tillie Cole. I am trying to write this review without giving away spoilers, so I would read this with caution if you don’t want a hint of what happens. I loved Poppy and Rune together, they were sickeningly adorable, both when they were kids and then when they were teenagers. I really wish it could have stayed that way, as despite my normal stoic and cynical reaction to over the top sentimentalism this book broke my heart a little. Seeing both of them cling to one another and draw strength from the other in the most awful of circumstances brings a lump to my throat, even now, a week after I have read the book. However, despite all these feelings this book evoked in me and I know what I am about to say is skeptical and possibly insulting people’s bravery. I found Poppy’s complete acceptance and optimism with her awful situation jarring. It didn’t seem real, even if she had expected the inevitable I wanted to feel some anger or regret or something from her. Something that made her more real to me, in the end I found I couldn’t connect and emphasise with her as I found her attitude too good to be true. It was Rune, his anger and his complete agony that I connected with more. It was his reactions, his trying to be a brave front on a cracked facade that had me howling in tears. If you want a book that is going to make you cry, then you need to pick this up, it is a touching story which plays gleefully on your heartstrings. If you want a book with a cut and dried HEA, steer clear, this isn’t for you. But, it manage to touch my otherwise cynical heart, even if it was, in places, a little too sweet for my tastes.